Do you wish you had a white, straight smile to show the world? You can achieve your perfect smile with treatments from our cosmetic dentist. Even if you have many flaws you want to change, we can perform a complete smile makeover. Whether you have stained teeth that need professional bleaching or crooked teeth that impact the beauty of your smile, we can help. Our cosmetic dentist can evaluate your teeth and offer solutions to change the overall appearance of your smile. For some, all that is needed to improve their smile is teeth whitening. For others, chipped, gapped or missing teeth could be affecting the appearance of their grin. Whatever the issue, there are cosmetic services that can change the look of your smile in as little as one visit to our office. We use porcelain veneers or cosmetic dental bonding to fix or cover many dental flaws. Dental bridges can be used to replace missing teeth that leave gaps in your smile. You can have the beautiful teeth you always wanted with a smile makeover at Dental Care Center at Kennestone. 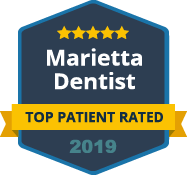 If you are ready to explore the options available to change the appearance of your smile, contact us to schedule your appointment today at our office in Marietta. 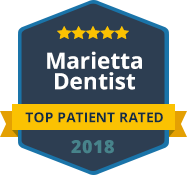 We look forward to helping you achieve the perfect smile you deserve.